NEW PRODUCTS – Panel Mount 10K Potentiometers w/ On-Off Switch: Log and Dual Log « Adafruit Industries – Makers, hackers, artists, designers and engineers! 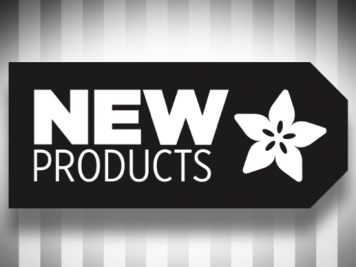 This week we’ve got two more Potentiometers for ya! 10K Logarithmic w/ Switch and 10K Dual Logarithmic w/ Switch. Potentiometers, or “pots” to electronics enthusiasts, are differentiated by how quickly their resistance changes. In linear pots, the amount of resistance changes in a direct pattern. If you turn or slide it halfway, its resistance will be halfway between its minimum and maximum settings. That’s ideal for controlling lights or a fan, but not necessarily for audio controls. Volume controls have to cater to the human ear, which isn’t linear. Instead, logarithmic pots like these ones increase their resistance on a curve. At the halfway point volume will still be moderate, but it will increase sharply as you keep turning up the volume. This corresponds to how the human ear hears. Using a log pot therefore gives the effect that a setting of full volume on the control sounds twice as loud as a setting of half volume. A linear pot used as a volume control would give large apparent changes in loudness at low volume settings, with little apparent change over the rest of the control’s range. First, the 10K Singular Log Pot w/ Switch (above) is a two-in-one, good in a breadboard or with a panel. 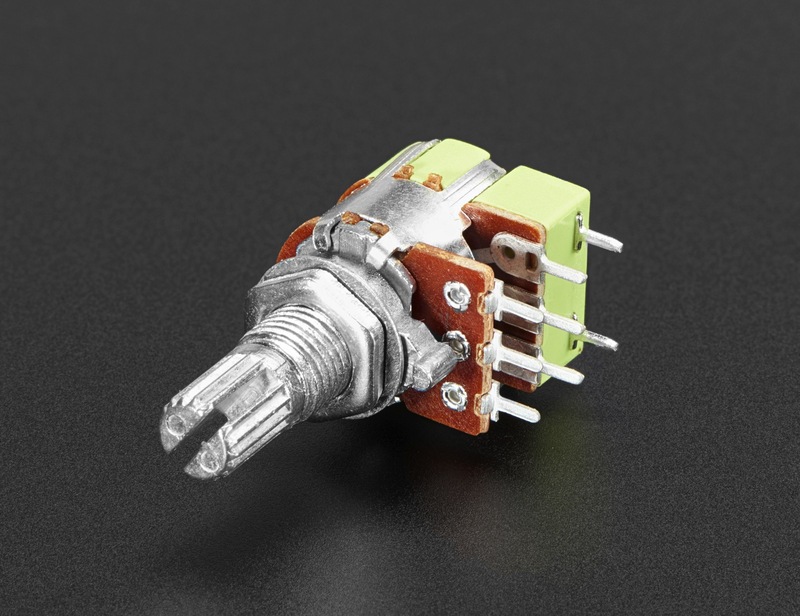 It’s a log taper 10K ohm potentiometer, with a grippy shaft and it comes with an on-off switch. It’s smooth and easy to turn, but not so loose that it will shift on its own. We like this one because the legs are 0.2″ apart with pin-points, so you can plug it into a perfboard. Note the spacing on the switch/pot pins is 0.2″ so it wont work in a solderless breadboard as nicely, unless you bend the switch pins out of the way. Once you’re done prototyping, you can drill a hole into your project box and mount the potentiometer that way. 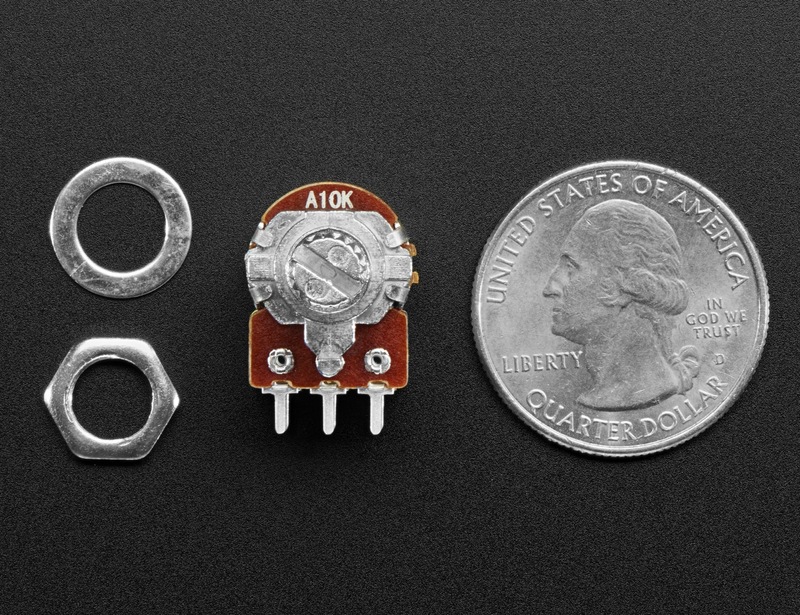 Secondly, the Panel Mount 10K Dual Log Potentiometer w/ Switch (above) is also a two-in-one: you get a dual-ganged potentiometer and an on-off switch. 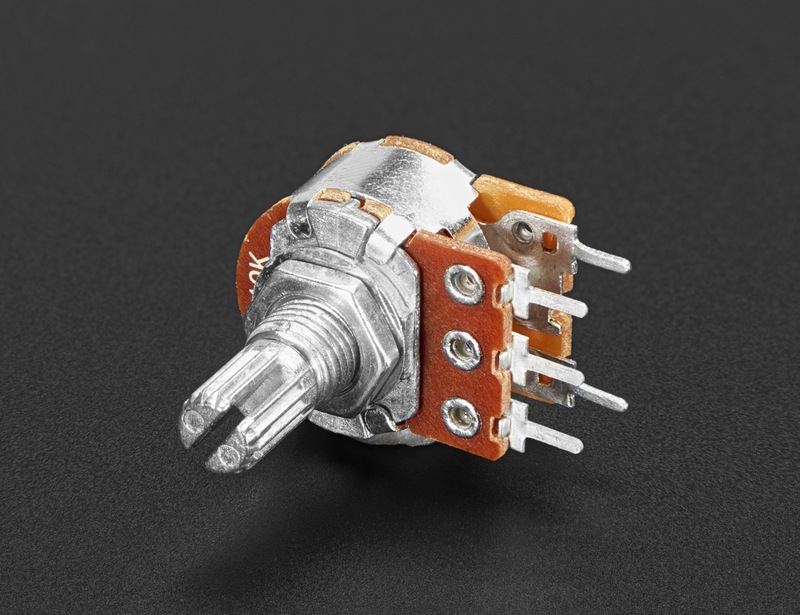 For the potentiometer-half, you’ve got a dual standard log-taper 10Kohm potentiometer, with a grippy shaft. It’s smooth and easy to turn, but not so loose that it will shift on its own. 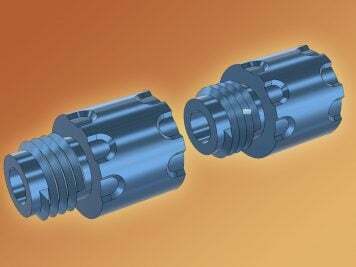 It also comes equipped with an on/off switch at the beginning of the shaft’s rotation. Unlike many of our other potentiometers, this one is not breadboard-friendly. The pins are about 0.15″ apart, and the rows are close together so you’d short the switch to the potentiometer. Thus, we suggest soldering wires to the pins as necessary, or designing a custom PCB. The built-in switches make these perfect for audio projects where you want to control both power and volume of a stereo signal. 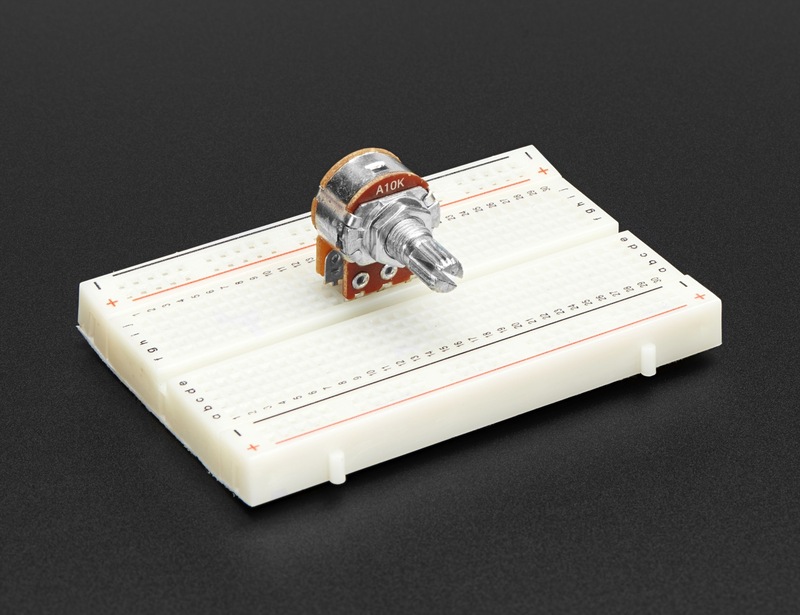 Once you’re done prototyping with either of these, you can drill a hole into your project box and mount the potentiometer using the included washer and hex nut. We’ve got plenty of matching T18-splined knobs that you can pair up. In stock and shipping now: 10K Logarithmic w/ Switch and 10K Dual Logarithmic w/ Switch.